Make your reservations early to dine on Venetian cuisine at this miniscule restaurant. : Eating at Alle Testiere requires significant pre-planning, as the 20-odd seats are filled rapidly each day. 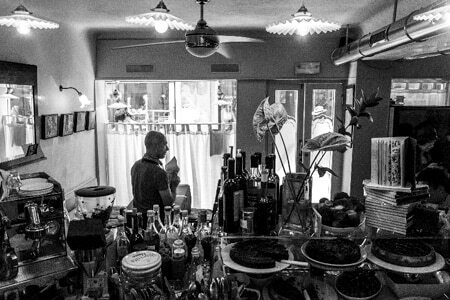 This popular osteria run by lifelong friends Bruno Gavagnin (food) and sommelier Luca Di Vita (wine) offers a daily menu, based on what looked good at the market that morning. But rest assured that it will be fish all around. Always available are a swordfish carpaccio for a starter or spaghetti with clams. A mixed grill of fresh fish is among the main courses. Di Vita, meanwhile, buys the best wines from Italian vineyards. For dessert, there’s a rich dark chocolate cake “tenerina.” Don’t be surprised to share a table with a celebrity or two during one of Venice’s many festivals.